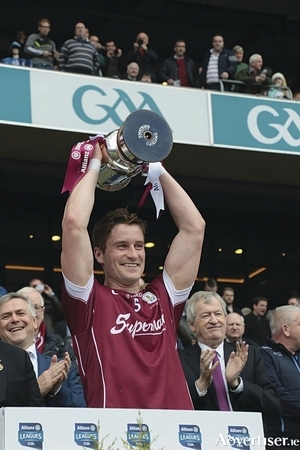 Sunday was a good day for Galway football. Not only did Kevin Walsh's charges fully deserve to win the division Two league title for 2017, beating Kildare by 0-18 to 0-16, but it was also the county's first senior football victory at Croke Park for far too long. This Sunday at the Gaelic Grounds in Limerick, the Galway hurlers will take on the home side at 2pm for a place in the league final. Galway already beat Limerick at the same venue by 0-24 to 1-18 in their final round of the division 1B games three weeks ago. 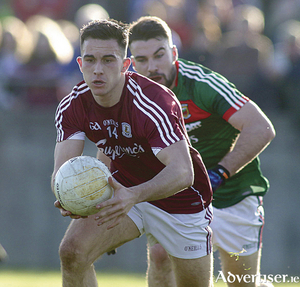 David Burke hit 0-6 from play, and Joe Canning, with 0-10, were key figures for Micheal Donoghue's side in that victory. Galway hurlers will take on Limerick in the league semi-finals on Sunday week (April 16) following their impressive late comeback and 2-22 to 2-19 win over Waterford last weekend in Pearse Stadium. 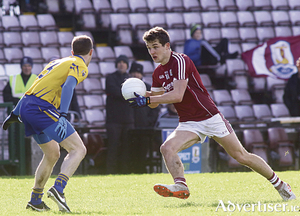 The Galway U21s, under the guidance of Gerry Fahy, had a sensational 3-20 to 2-14 win over Sligo after extra time at Markievicz Park on Sunday. The Galway footballers head to Croke Park hoping to produce a big performance and collect a first league title since 1981 when they take on Kildare in the division two final on Sunday (2pm). After Galway's solid 3-15 to 1-13 victory over Down at Páirc Esler in round six of the league, manager Kevin Walsh said Galway had been in division two for the past six or seven years because they had not been good enough, or consistent enough, to play in the top flight. It was that simple. League tables do not lie, and while a team may be unlucky one season or another, Galway's lack of consistency in league football over the past four or five years is the reason they have not gone up the elevator to division one. The Galway U21 footballers head to Markievicz Park in Sligo this Saturday (6pm) to take on the home side in the 2017 EirGrid Connacht final. 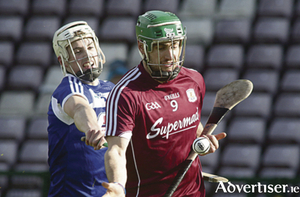 The Galway hurlers face Derek McGrath's Waterford this Sunday in the league quarter-finals at 4pm in Pearse Stadium. Galway and Waterford had to toss a coin to decide which side would enjoy home advantage, and luckily Galway won. It sets up an attractive double header with the footballers who play at 2pm and should see a good crowd rock up to Salthill to support both county sides. 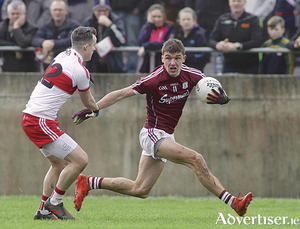 The Galway senior footballers will head up north on Saturday afternoon hoping to collect another two vital league points when they face Down in Páirc Esler on Sunday (3pm). The Galway hurlers take on Limerick at the Gaelic Grounds this Sunday at 3pm to determine which side finishes second in the division 1B league. Both teams have already qualified for the quarter-finals against a team from 1A, and Sunday's game will decide which team they will face. Supermac's created a new piece of history when, in their first season of Interfirms GAA, they were crowned All Ireland champions. Following their facile 3-31 to 1-11 victory over Laois last weekend at Pearse Stadium, the Galway hurlers head to Tralee to take on Kerry (2pm) on Sunday in round four of the league. The Galway footballers left a valuable league point or two behind them at the weekend when they went down to Meath in Navan by 1-13 to 0-15 in round four of the NFL. The Galway U21 footballers are down to play Leitrim in the 2017 Championship this Saturday in Tuam Stadium (3pm). A goal separated Sarsfields of Galway and Slaughtneil of Derry, 1-10 to 0-11, at the end of an absorbing AIB All-Ireland Camogie Senior Club Championship final at Croke Park last weekend. Following their disappointing and costly defeat to Wexford two weeks ago in Pearse Stadium, the Galway hurlers are expected to be far too strong for Laois this Sunday (2pm) at the same venue. The bookies have Galway down at 1/33 to win in Salthill, with the visitors available at 11/1 which tells you all you need to know about people's expectations. 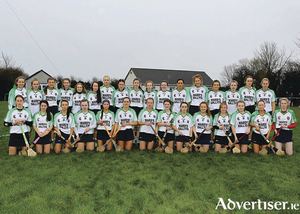 Sarsfields Camogie Club will be aiming for their first All Ireland camogie title this Sunday when they clash with Slaughtneil from Derry at Croke Park in the AIB All-Ireland Camogie Club Senior Championship final (3.15pm). 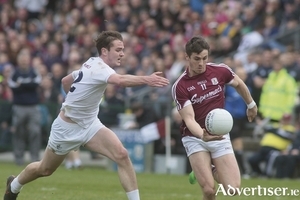 It has been quite a while since any Galway senior football team won three league games on the trot. However, there is an opportunity to do just that this weekend when Galway take on Meath this Sunday in Navan (2pm) in round four of the NFL. Having attended college for five years with plenty of lads from Clare, and having played a few Sigerson and Collingwood cups with a blast of them too with UL, I know one thing for certain, they are sound men. And hard men to beat. They are a proud tribe, and whether it is Clare hurlers or Clare footballers, they do not like to bend the knee for any man, or team.